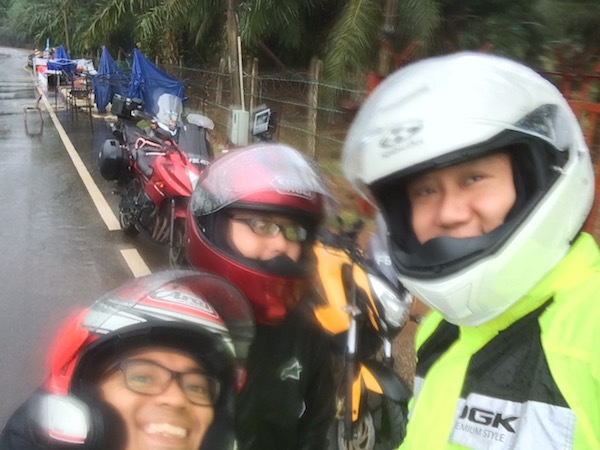 3 crazy guys with 3 motorcycles of 3 license classes decided to do a wet Sunday morning ride. My Pulsar 200NS was joined by a Honda CB400X and a Yamaha XJ6 Diversion and we rendezvous 7am at B-Point, Johor Bahru for a quick roti and teh (tea) breakfast before we made our way towards the Kota Tinggi waterfall resort. Our goal wasn’t the destination. It was the ride. And despite waking up to a raining sky before the sun was out, the only person who backed out was a planned pillion. The 3 Sunday Morning Riders in their wet gear. 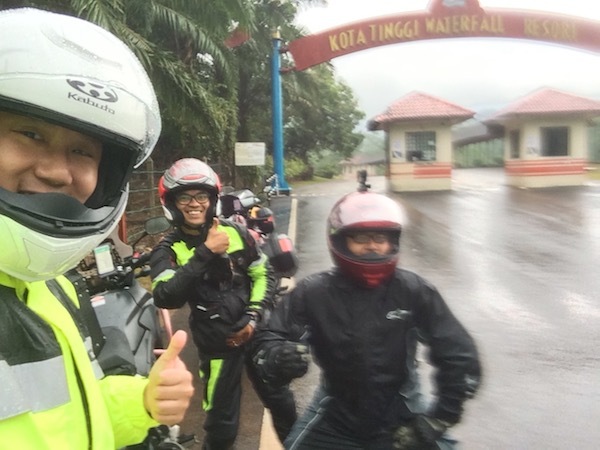 The smiles on their faces suggests that the wet weather did little to dampen the riding pleasure. The route to Kota Tinggi waterfall. 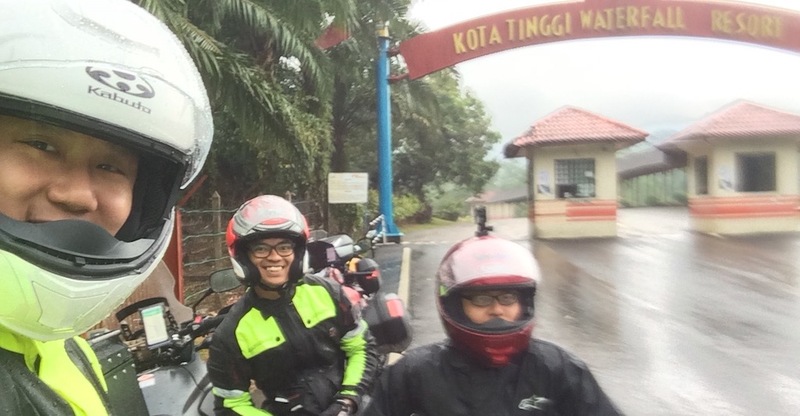 The final couple of km’s towards the Kota Tinggi Waterfall Resort was a nice stretch of twists and turns on tarmac. Unfortunately, ALL of us felt the effects of the reduced road grip on the wet and slippery asphalt, and we decided to take it easier on the corners. Nope – no bike drops. Thankfully. This was about as far as we got before we turned around and cheap-out, refusing to pay the RM16 per bike entrance fee. 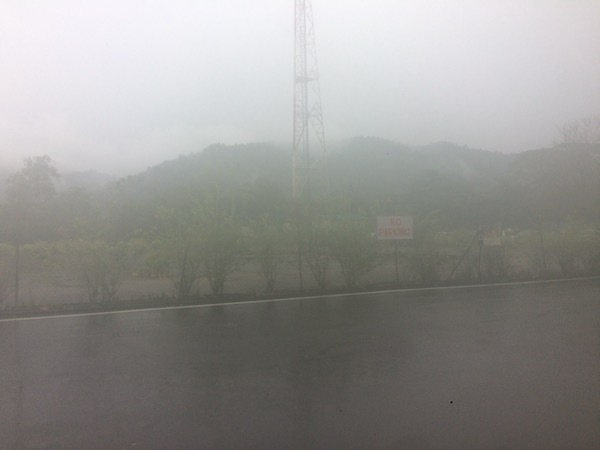 The place was nice, quiet, and misty with clouds hanging very low in the sky and partially covering the nearby hills. It was really a lot more beautiful than this picture suggests. It was still raining when we took those pics, and unfortunately, the iPhone 5s lens was covered in raindrops. Nevertheless, it was a great ride, and we’ve definitely got to do this again in better weather some day! Howdee Bro, so where U headed this coming Sunday? Do U go JB every Sunday or Saturday? Was kinda hoping to ‘tag along’ if U are heading in this Sunday. Abit boring riding into JB without kakis. Heya! 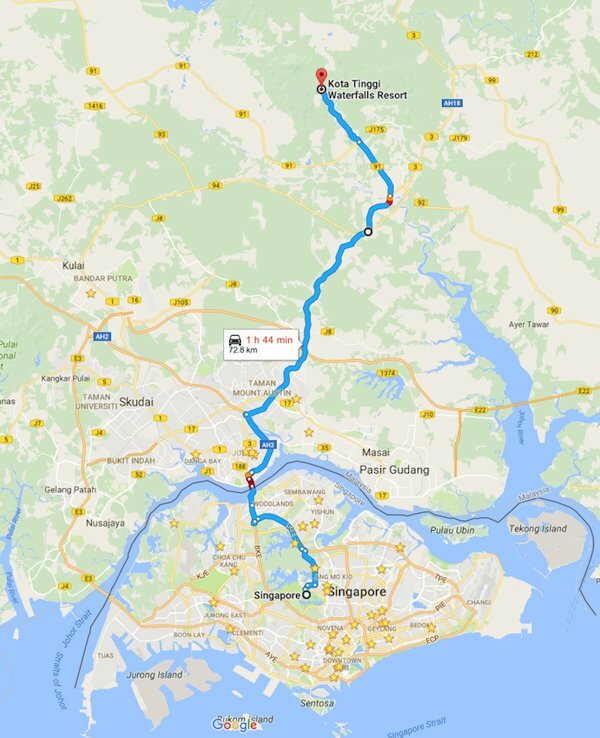 Was just thinking of heading east – towards Desaru / Sg Rengit area this coming Sunday! Wanna join us? PM me your contact number (“Contact Me” on this website) and I’ll add you to the Sunday Morning Ride whatsapp group. Please add me in also. Looking for a nice calm ride. Good point. Thanks for highlighting.